Which cloud storage provider is best for you? How much storage space is free from Dropbox, OneDrive, Google Drive and Apple’s iCloud Drive? Dropbox offers just 2gb of space for FREE. Apple’s iCloud Drive offers just 5Gb of space for FREE. OneDrive from Microsoft and Google Drive offer a much more generous 15gb for FREE ! What’s the cost of buying extra storage? Apple’s iCloud has 4 options:- 79p a month for 20Gb, £2.99 a month for 200Gb, £6.99 a month for 500Gb and £14.99 a month for 1Tb. OneDrive have 3 options:- £1.99 a month for 100Gb, £3.99 a month for 200Gb and £5.99 a month for 1Tb and a subscription to Office 365 Home. Google Drive have just 2:- $1.99 a month for 100gb or $9.99 for 1Tb (Note their pricing is in dollars, so it’ll be slightly different when converted to £). Is it compatible with my device? You’ll always be able to access your files online via a browser. All come with a desktop application (program), which stores a synchronised copy of your storage folders on the PC or device. Google’s app can run on Windows PCs, Macs, Android and iOS. Dropbox ‘s app can run on Macs as well as Windows XP, Vista, Windows 7, 8, Android, iOS, BlackBerry and Kindle Fire. 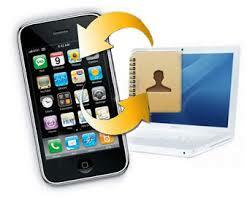 Apple’s iCloud software is built into all iPad and iPhone devices for automatic backup over wi-fi. However, there is also a desktop application which can run on your Windows 7 or 8 computer to access your iCloud Drive files. What about editing my files stored in my cloud storage when I’m away from home? Both Google Drive and OneDrive come with a set of editing programs which allow you to edit many of them, and also create new documents – even if the PC doesn’t have MS Office installed. Many users find Office Online (Microsoft’s offering) more flexible and, especially for editing, keeps the original features of documents more accurately. Google’s offering is ‘Google Docs’. Dropbox only allows you to view documents online as there’s no built-in editor.